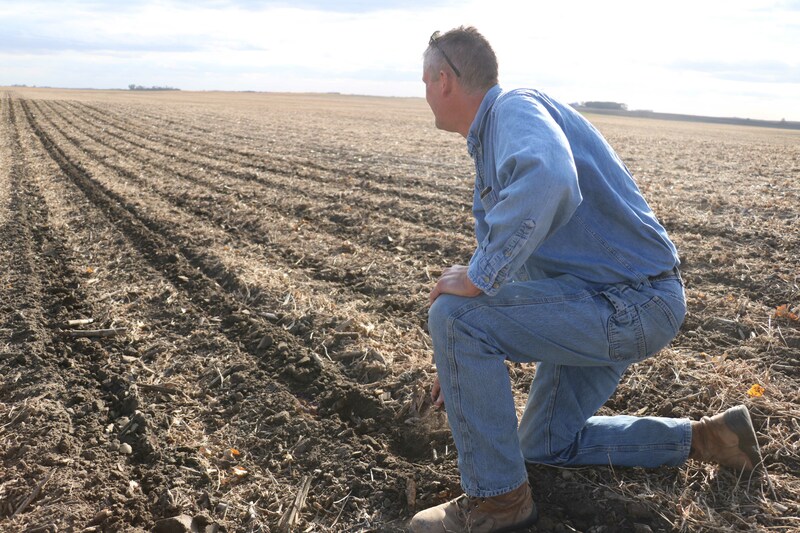 This blog is part of a podcast series following one Minnesota farmer through a season of strip-till. 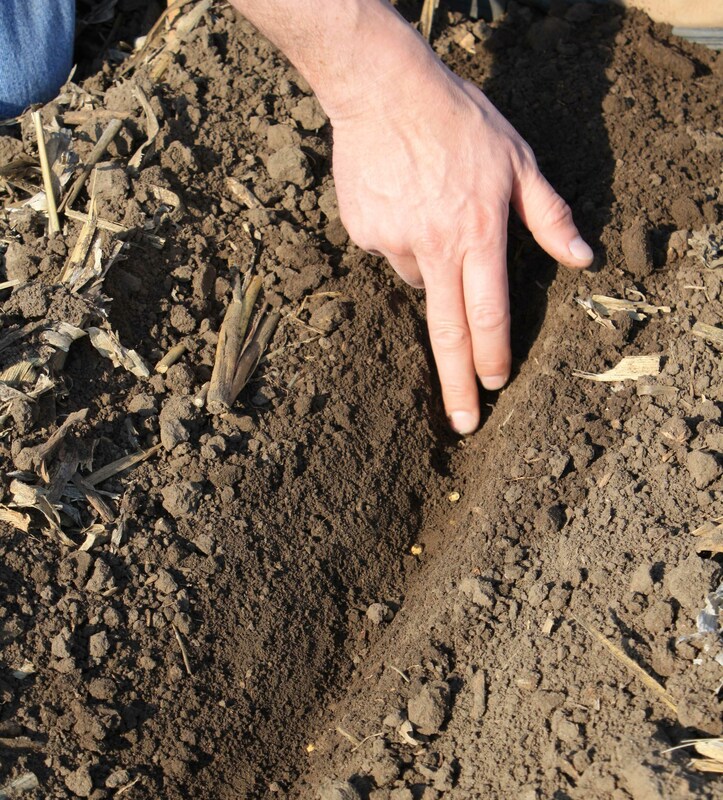 Listen to the full audio episode by scrolling to bottom of post. 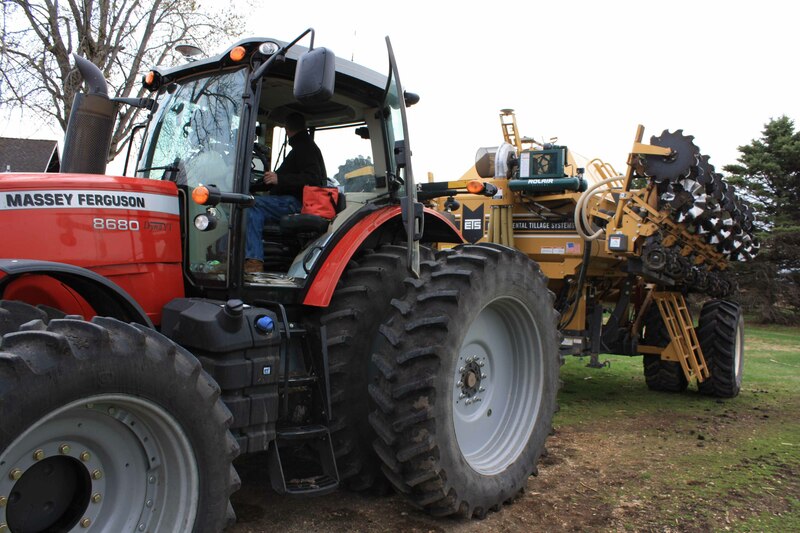 When fall harvest and tillage kick into high gear, the last thing farmers want is down time. 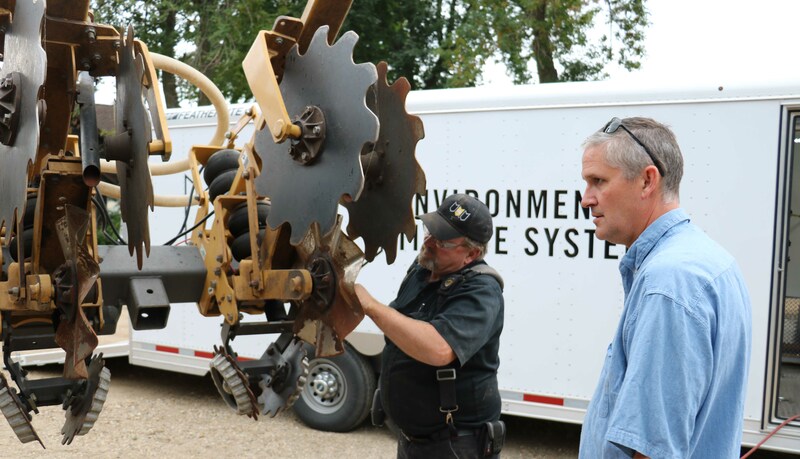 Ed Hegland is taking precautions to avoid unproductive down time by having Environmental Tillage Systems product support manager Kevin Kuehn conduct a thorough inspection of his SoilWarrior to make sure everything is in peak condition when it’s time to roll. 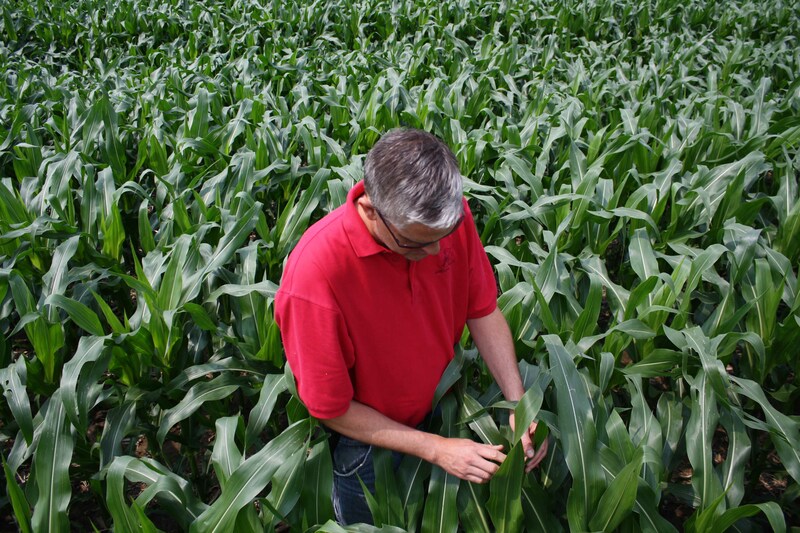 The dog-days of summer are a time when crops undergo dramatic changes. 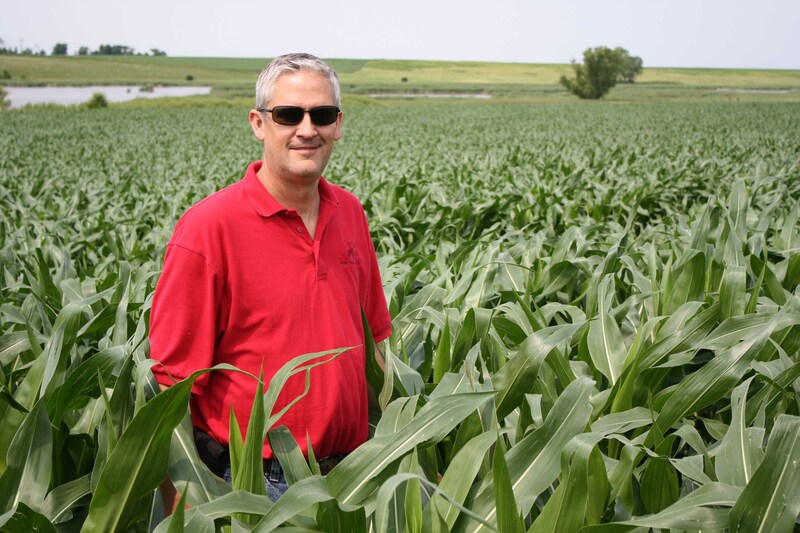 On Ed Hegland’s farm in Minnesota’s Lac Qui Parle County, his zone-tilled corn and soybeans took advantage of warm temperatures and ample rainfall during July and early August to develop into healthy, lush crops that are setting pods and forming ears. 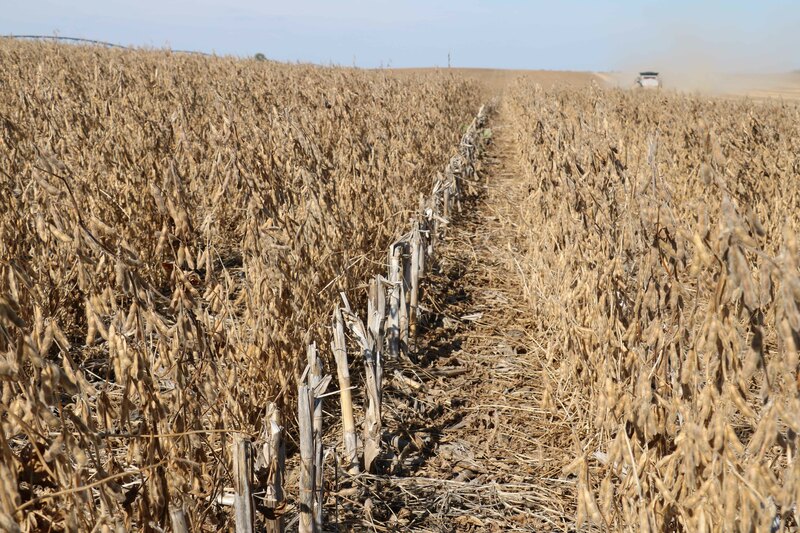 That is with the exception of about half of his corn and more than a third of his soybeans that were hit with hail earlier in the season.